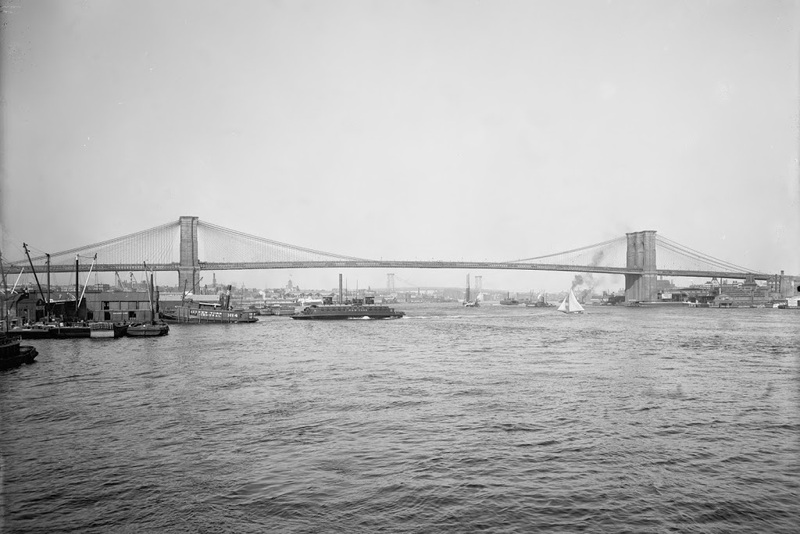 The view of Manhattan and the Brooklyn Bridge from Brooklyn, around 1900. Image courtesy of the Library of Congress, Detroit Publishing Company Collection. The difference is like night and day. Cheesy puns aside though, there is quite a difference in the Manhattan skyline between the two photos, over 100 years apart. 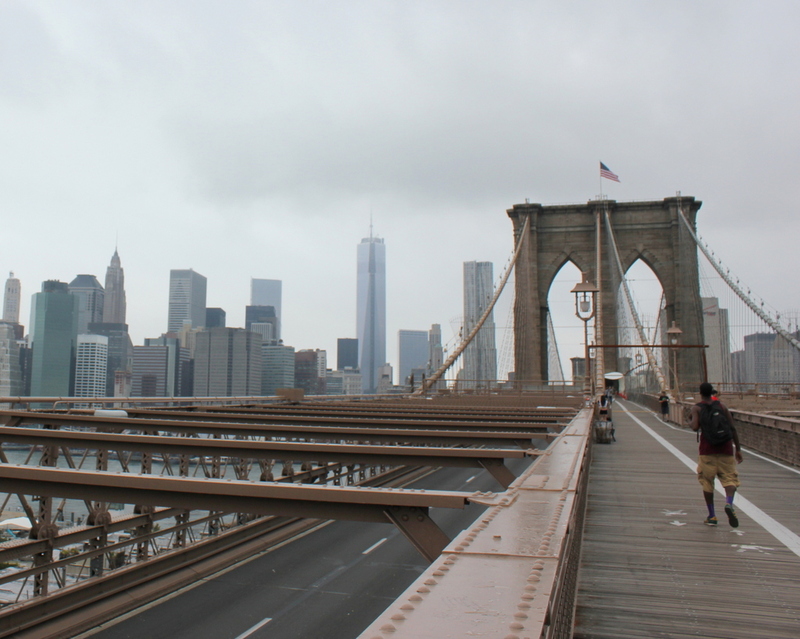 The Brooklyn Bridge is still there, but otherwise, as far as I can tell, none of the buildings in the first photo are visible in the second. At least one of them – the tall Park Row Building at the far left of the first photo – still exists today, but I don’t think it can be seen from here. 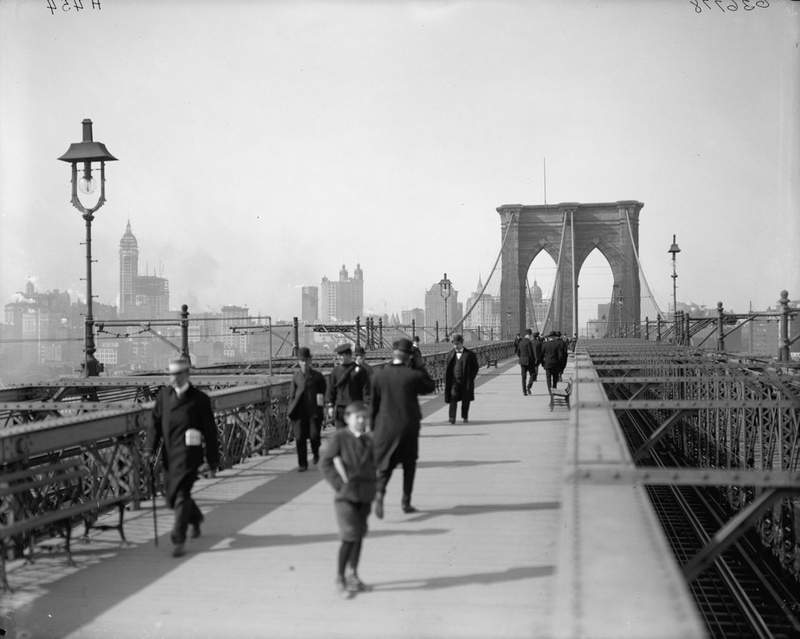 The view along the Brooklyn Bridge Promenade, looking toward Manhattan, between 1908 and 1920. Image courtesy of the Library of Congress, Detroit Publishing Company Collection. 1. New York World Building: The tallest from 1890 to 1894, demolished in 1955 to expand the approaches for the Brooklyn Bridge. The dome of the building is barely visible under the left-hand arch of the bridge tower. 2. Park Row Building: Held the record from 1899 to 1901, and the building still exists, although it’s not visible in the 2013 photo. It can be seen in the first photo, near the center, with the two towers on top. 3. Singer Building: Held the record from 1908 to 1909, and was demolished in 1968. It is readily visible on the far left of the first photo, and its location today is marked by One Liberty Plaza, the large black rectangle at the base of the new World Trade Center building. The view of Springfield from West Springfield, between 1900 and 1910. Image courtesy of the Library of Congress, Detroit Publishing Company Collection. The most obvious difference here is the lack of a covered bridge – this bridge was replaced by the current Memorial Bridge (just to the right of the scene in the 2013 photo) in 1922. The first bridge across the river in Springfield was an uncovered, six span bridge that was built in 1805. It collapsed in 1814, and was replaced by the covered bridge, which was completed in 1820. The designer was Isaac Damon, the same architect who designed Springfield’s Old First Church. This bridge far outlasted its predecessor, and even the present Memorial Bridge hasn’t reached the 102 years that the covered bridge made it to. 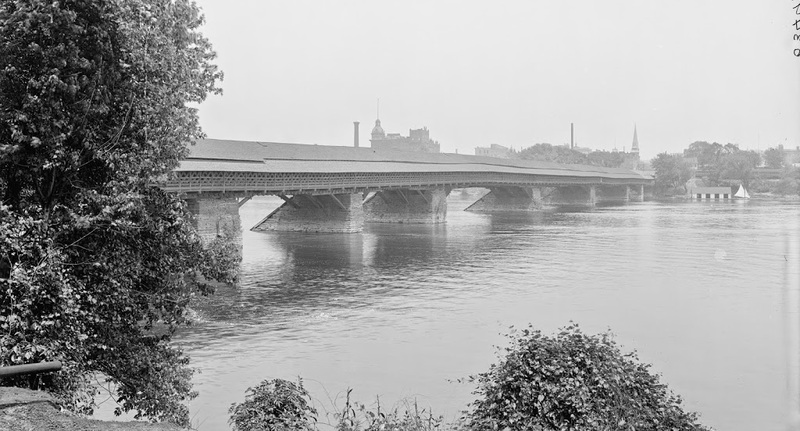 The bridge was finally demolished – or, to be more accurate, dismantled piece by piece to reuse the wood – in 1922, upon completion of Memorial Bridge. 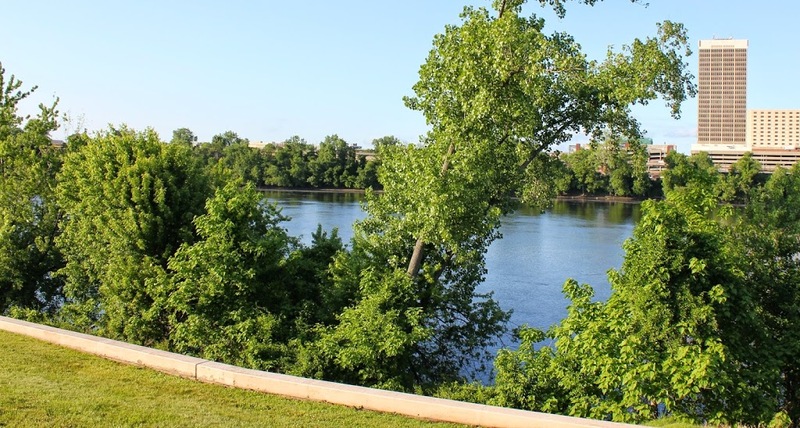 Although there are no visible traces of the bridge itself, it’s still easy to pinpoint its location; there is a Bridge Street in Springfield, and another one directly across the river in West Springfield. Neither street currently leads to a bridge, but they were once the approaches to the old covered bridge. 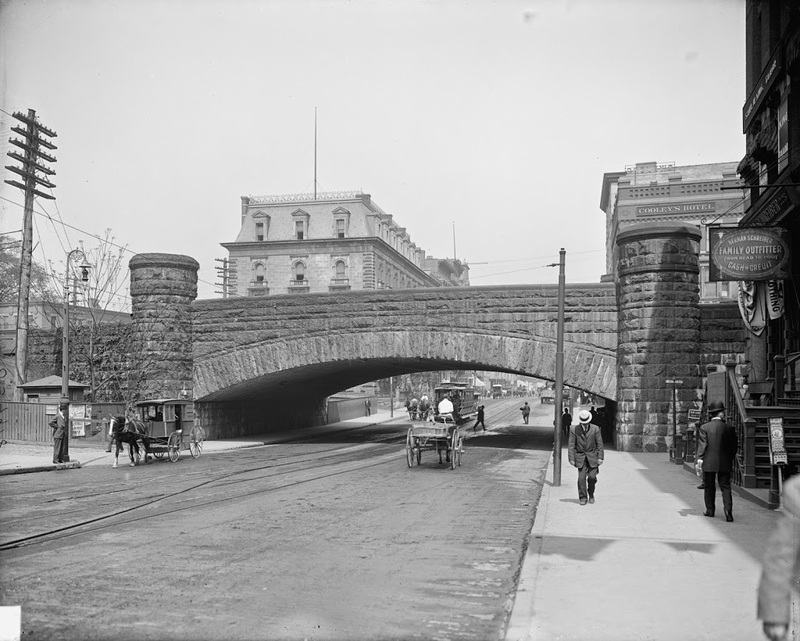 Looking north toward the Boston & Albany Railroad arch over Main Street in Springfield, between 1900 and 1910. Image courtesy of the Library of Congress, Detroit Publishing Company Collection. 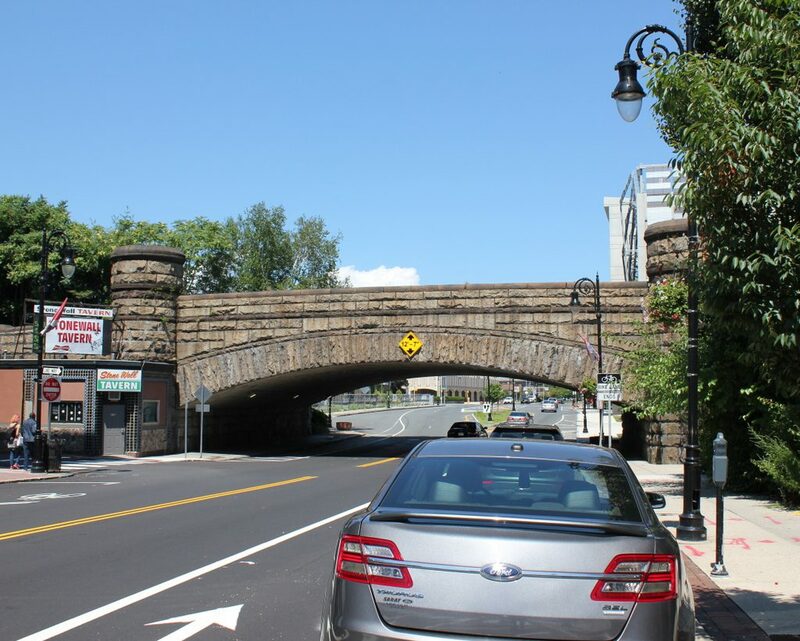 For many years, there was no bridge over Main Street, forcing the busy rail line to cross the busy road at grade. Finally, in 1890, the stone arch was built, and survives to this day, even when none of the other buildings from the first decade of the 20th century have. See the 1882 photo in this post for a view of Main Street before the arch was built. 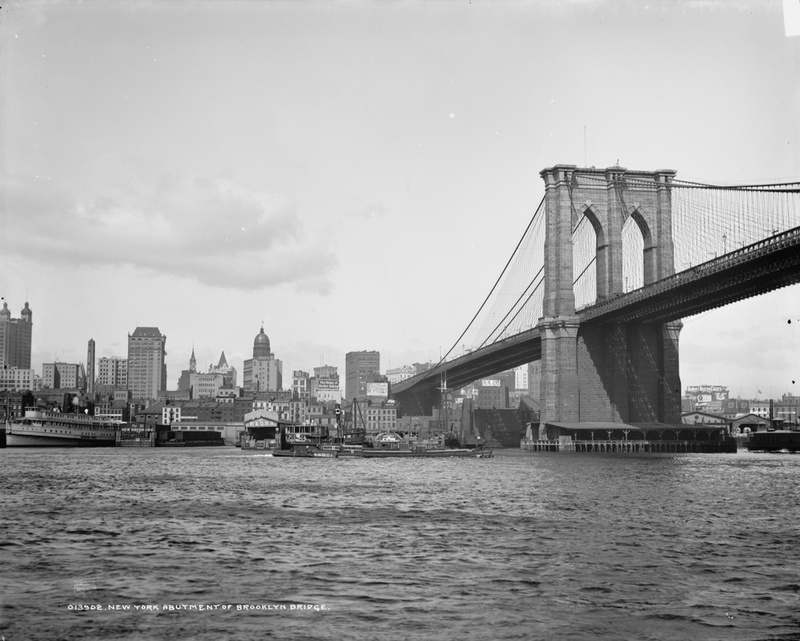 The Brooklyn Bridge from the south, as it appeared around 1904. The towers of the Williamsburg Bridge are barely visible in the distance. Image courtesy of the Library of Congress, Detroit Publishing Company Collection. 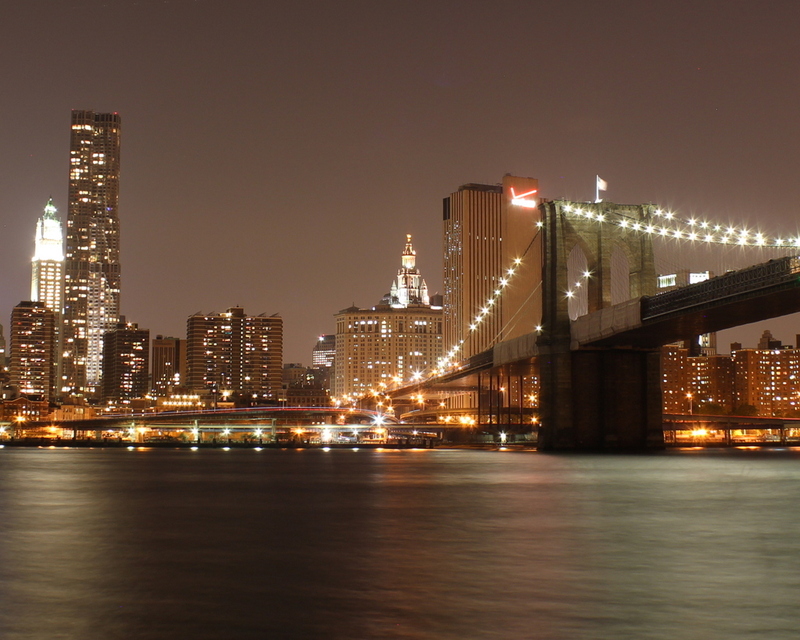 The Brooklyn Bridge hasn’t changed much in the past 108 years, but its surroundings have. 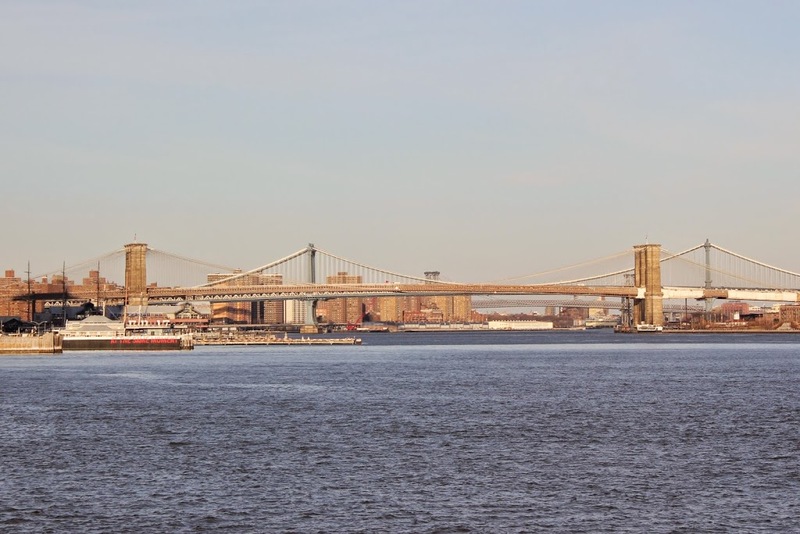 In addition to the Manhattan Bridge behind it, the skyline of the Lower East Side has also substantially changed, with high-rises covering much of the shoreline in this area.